Click the button below to add the Itchy Scalp Vinegar Rinse Cleanser Calming Scalp #Vinegar Rinse Cleanser Itchy# to your wish list. Try this product made without harsh chemicals, and maybe your scalp will heal itself. Our Calming Scalp Vinegar Rinse Cleanser is made with more than 20 skin and hair loving ingredients. Vinegar has been used as a folk remedy for skin and scalp conditions such as itching. This sulfate-free cleanser gently removes buildup, product residue, oils and other debris that can cause itching by irritating your skin or hair follicles. Natural acids and enzymes of vinegar combined with the ingredients like Manuka and Oregano that have anti-bacterial properties. Licorice and Sarsaparilla Root soothe while Sea Buckthorn, ultra-rich in essential fatty acids and omegas, lightly hydrates and nourishes irritated scalps. This is color safe and will leave your hair silky soft, with improved radiance. Your scalp will be freshly reinvigorated, feeling better than ever with flake free hair. I love this scalp cleanser! It is made with so many wonderful ingredients that I had to try it. I have always had dry, itchy scalp, and this is the first product that works for me without causing more problems. Try it... you will not be disappointed! Naturally anti-bacterial and anti-fungal which helps provide a scalp friendly environment to promote healthy hair growth while discouraging scalp fungus and other pathogens. Sea Buckthorn has been called the super fruit. This fruit has a high abundance of some of the most powerful antioxidants in the world. Not only that, but it is the only plant known to contain essential fatty acids 3, 6, 7, and 9. 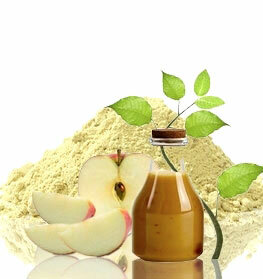 Apple Cider Vinegar contains natural alpha hydroxy acids, loaded with vitamins and minerals. This gentle non-irritating formula helps calm irritated scalps. I am very impressed with this. I found relief from my dry, itchy scalp after only a few days of using it. I have seen dermatologists, and their prescriptions didn't even come close to the results I got with this product. I love it. My hair looks better than ever too. Works exceptionally well for my itchy scalp. I haven't had any problems with itching or flakes since I started using it. I shampoo first then I apply this wait a few minutes before rinsing and follow with my conditioner. My scalp feels better than it has in years. Keratin straightening treatments, perms, colors, and other hair treatments are maintained and protected by this rinse. Hair is volumized and vibrant, detangled, strengthened, and itch-free. Naturally antibacterial and antifungal, which helps provide a scalp friendly environment for promoting healthy hair growth while discouraging scalp fungus and other pathogens. Apple Cider Vinegar contains nutritive alpha hydroxy acids, is loaded with vitamins and minerals and helps regulate scalp pH levels. Manuka oil and its medicinal uses have been known for hundreds of years among the Maori, the original inhabitants of New Zealand. The antibacterial, antifungal and anti-inflammatory properties of remarkable Manuka oil help skin and scalp irritation. Willow bark has been used for centuries. It is a nutritive extract made from tree bark that contains nutritive moisturizing and soothing properties for relieving itchy, irritated scalps and skin. The bark has long been used as an astringent and as an antiseptic. 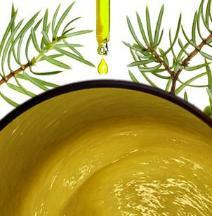 Its extracts have been used in cleansing the skin and scalp as well. Sea Buckthorn has been called the "super fruit." This fruit has a high abundance of some of the most powerful antioxidants in the world. Not only that, but it is the only plant known to contain essential fatty acids 3, 6, 7, and 9. It helps restore balance and nourish irritated scalps. Use every fifteen days or as needed to remove buildup and maintain your scalp's health. Next, massage from your roots to your hair tips. Leave the rinse on for one to three minutes, then rinse thoroughly with warm water. Color safe. Excellent for keeping in the new color. "Massaging the scalp can go a long way in maintaining healthy hair. A regular scalp massage ensures proper blood circulation to the hair follicles, thereby helping stimulate hair growth." • We suggest that you try this product with our other serum. Our vinegar would be used first to cleanse the scalp; then you would use our serums either in wet or dry hair. This process allows the product to penetrate the scalp more effectively. • This product is safe to use on color treated hair. We suggest using this product before you get your hair colored or about two weeks after your hair has been colored to prevent the color from bleeding. • We suggest that the vinegar be used every week or every other week, depending on how much buildup there is on the scalp and how physically active you are. Acetic Acid (Apple Cider Vinegar), Aloe Barbadensis (Aloe Vera Hydrosol), Salix Alba (Willow Bark) Extract, Glycyrrhiza Glabra (Licorice Root) Extract, Leptospermum Scoparium (Manuka) Oil, Urtica Dioica (Nettle Root) Extract, Equisetum Arvense (Horsetail) Extract, (Burdock Root) Extract, Arctium Lappa (Quillaja Bark) Extract, Caprylyl/Capryl Glucoside,Calendula Officinalis (Calendula Flower) Extract, Cucumis Sativus (Cucumber) Extract, Betula Lenta (Birch) Oil, Citrus Paradisi (Grapefruit) Oil, Citrus Sinensis (Orange) Peel Oil, Melaleuca Alternifolia (Tea Tree) Oil, Cymbopogon Flexuosus (Lemongrass) Oil, Sodium Lauroyl Lactylate, Origanum Vulgare (Oregano) Oil, Rosmarinus Officinalis (Rosemary) Oil, Glyceryl Caprylate, Phenethyl Alcohol, HemidesmusIndicus (Sarsaparilla Root) Extract, Allantoin, Glycerin, Xanthan Gum, Hippophae Rhamnoides (Sea Buckthorn) Oil. I will never be without this vinegar rinse . I have had problems with my scalp for years itching bad and buildup. This Vinegar Rinse gets rid of all the buildup and my scalp doesn't itch at all if I use it once a week or so. This is a big improvement for me. Wow……This vinegar rinse worked when hydrocortisone products did not. I was having a hard time with extremely dry irritated skin on my scalp and nothing worked to relieve the itching until I used this vinegar rinse. I have tried it all and this vinegar rinse works!! I have suffered from dry irritated skin on my head for years. I have bad reactions to any products made with hydrocortisone and fortunately I will never have to use those products again!! If you have an irritated scalp dont waste your money on anything else. Try this one! I really was skeptical at first. I have used quite a few products that promised a relief to my irritated scalp. You name it I tried or did it but I never found anything that got to the root of the problem. Well, I can say that there is something in this Vinegar Rinse that got to the root of my scalp problems. After a couple of uses it has been effective at solving my scalp problem. I am almost 99% itch free. God bless! Nothing else has worked as well to heal my scalp itch. This is the best to use if you have really irritated scalp and have issues with Folliculitis which is an inflammation of the hair follicles. The vinegar rinse really soothes the scalp and makes it feel so great while helping it to heal. I have some kind of dermatitis on my scalp and when it flares up it is very red and itchy. I've tried other products and none worked for me. I was hesitant to try the Vinegar Rinse because I was concerned that it would strip my hair color out. I was told that it was safe to use on color treated hair so I decided to give it a try. I am very glad I tried it as it didn't cause any color loss at all. It controls the itch and the redness has almost all disappeared. Are You Kidding Me?!! After nearly three years of trying absolutely everything for my terrible calming scalp, I ordered this vinegar rinse, what harm could one more try do? What a wonderful surprise! My inflamed, cracking scalp was soothed and calmed and within hours of use. I followed with the fungus product for added benefit of recommended. I buy many products from your company which I love. This product is no exception. My hair and scalp cannot be without this rinse. My hair was wrecked and my scalp was terrible. Tried everything to heal my hair and scalp from oil treatments, salons, prescriptions, drugstore and luxury haircare products. This rinse has rivaled and surpassed all of the products I've used in the past. I have used the vinegar every week or week and a half to cleanse my scalp and hair. This has left me with a calming relief to the scalp without itching. Sorta like magic, but really it's does the trick! I recommend this anti itch product to anyone who has problems with dandruff, eczema, or psoriasis effecting the scalp. It works for me by stopping the itch and greatly reducing dry scaly areas on the scalp. I use the vinegar rinse along with the scalp fungus product which I was not sure about but they seem to work together to combat multiple issues that can cause my scalp itch and other problems. I have allergies to most products that inadvertently make me itch immensely. I would develop sores and scars throughout my scalp. This product gently cleans my hair and scalp, plus all itching and flakes have disappeared. My hair stays conditioned, shiny and healthy. Your hair will become manageable and voluminous even though my hair is very fine and thin with a natural curl that easily becomes frizzy. I love this product. I like this ACV Rinse. It clarified my hair by removing build up, leaving my hair shiny, soft, and flake free.It has a heavy scent but it does fade, and it was gentle enough to use on my hair that was recently colored. I high recommend this vinegar rinse. I was delightedly surprised by this rinse. I have dry hair and scalp. My scalp stayed inflamed due all the harsh over the counter shampoo that stripped my hair and scalp.I apply the vinegar after shampooing; then I allow it to sit for about 5 to 10 minutes and condition. I bought this product along with the clear scalp shampoo has helped keep my hair manageable and scalp calm and clear. i had alot of dandruff tried different product's and the vinegar cleansed is the only one that actually help me. my scalp is cleaner im dandruff free and it makes my hair soft. Really love it and totally will recommend it. Absolutely terrific product; I am very impressed. I love vinegar rinses but they're usually messy and you end up smelling like salad; but this stuff is terrific. The texture is nice (thicker than straight vinegar, easier to use), and the smell is surprisingly nice and makes my scalp feel fresh! My coarse hair and my flaky scalp just love this rinse; my scalp practically gobbles it up.